Plant some sunshine! This amazing collection of varieties will be blooming and perfuming your garden all spring long. 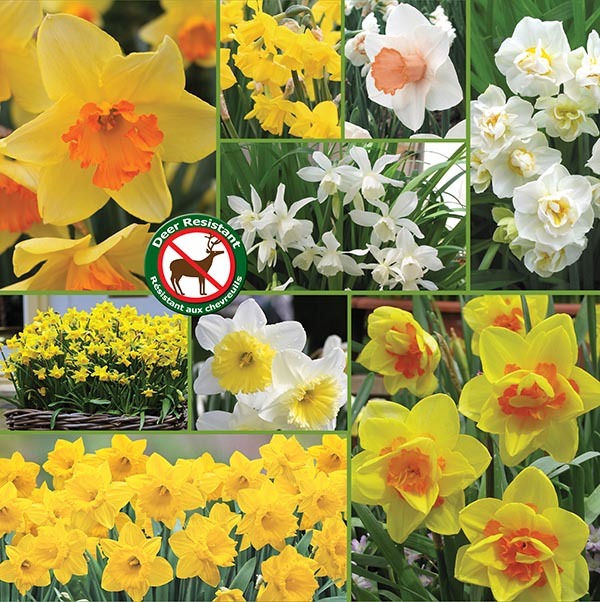 Narcissus (Daffodils) are naturalizing bulbs that grow, multiply and bloom for many years in your flower beds, borders and containers. 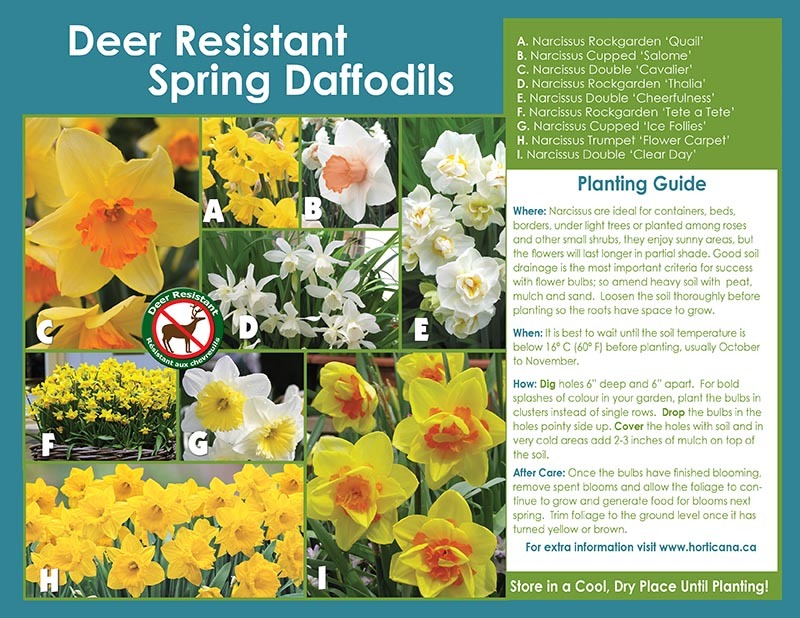 An added bonus is that Narcissus are completely deer resistant! Remember to plant extra bulbs for indoor bouquets too! These bulbs are Canadian grown so you know that they are ready to perform. Direct from our fields to your garden. These bulbs should be planted before ground frost sets in. In most areas, the ideal planting time is in October – once soil temperatures have cooled down.